Bath Preservation Trust is pleased to be working with the Royal Institute of British Architects (RIBA) South West to offer monthly Saturday advice surgeries with a local qualified architect from Chartered Practice. Have you an architectural project you’d like to discuss informally with an impartial expert? Feeling daunted or not sure how to start? ‘RIBA Ask an Architect’ is an excellent opportunity to meet with a qualified architect from RIBA Chartered Practice for an informal chat to discuss your plans for building projects, large and small. 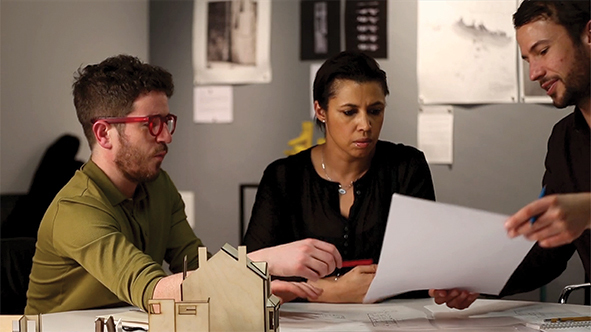 Find out how working with an architect can help you achieve your aspirations and vision and add value to your project. The first surgery will be held on Saturday 27 October at the Museum of Bath Architecture between 10.30am and 2pm. A 30 minute slot (or consecutive slots for a longer chat) must be booked in advance via https://bit.ly/2IvF7bJ. The Architect in Residence that day will be Mark Lord BAArch(Hons) DipArch PGDip ARB RIBA of Lord Architecture Ltd in Bath. A minimum donation of £25 per session is requested by the Trust which will help support its conservation work across Bath.